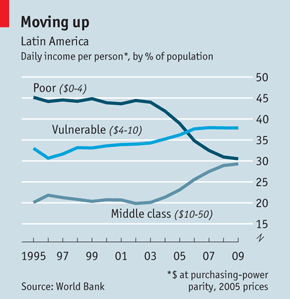 This Economist article based on a World Bank study indicates how the middle class is growing in the region. After several years of cuts, voters in the state of California supported Proposition 30 endorsing their wish to reform the state’s revenues and expenditures to bring in new money and reinvest in the state’s higher education institutions. As has been my point in several blog posts, this reflects the huge importance of higher education and innovation for economic development. Kudos for California! Finland replaces Sweden at the top. 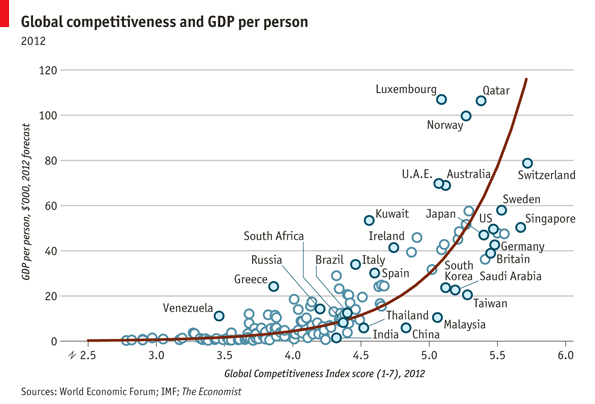 China and Brazil moving up but not surprisingly for some of us, the US is moving down to the seventh position. The graphic says it all… Worth reflecting upon. From the Globalist – amazing how these two countries have followed similar paths.